Millwall secured another victory by a goal to nil thanks to a 1st minute goal by George Saville as they overcame local rivals Brentford at the New Den. Just in case you were reading this article thinking it is the match report from last week, it’s not. Incredibly George Saville has now scored in the first minute of a match two games running and I can’t remember the last time that happened by any player in any league. As is so often the case this season Neil Harris’s men set out their stall and shut up shop to pick up the points and see them just 6 points behind both Middlesbrough and Derby County both in the play off places. Millwall utilised the same tactics, defend from the back, let the opposing team run themselves into the ground until they run out out of steam and deploy the counter attack. Get the ball up to Lee Gregory and take it from there. It’s basically suffocating the opposition and the Lions have turned this into an art form so far in 2018. It may not be pretty but boy does it work and if it gives the Lions a sniff of the Play offs then all the better for that. Shockingly Millwall had less than a third of the possession at home against a Brentford side in good form and a place above them in the league. Or rather so they were at the beginning of the day although by 5 o’clock the positions were reversed. In a breathtaking first few minutes of end to end stuff Millwall took the lead when George Saville slid the ball under Bees goalkeeper Daniel Bentley to put the hosts ahead after Lee Gregory had closed down Andreas Bjelland. Alarm bells could have sounded for Brentford but the fellow south London team came fighting back and Yoann Barbet thought he had equalised soon after from a corner, but his effort was ruled offside to the dismay of the travelling supporters who could have walked from one stadium to the other so close are the teams. 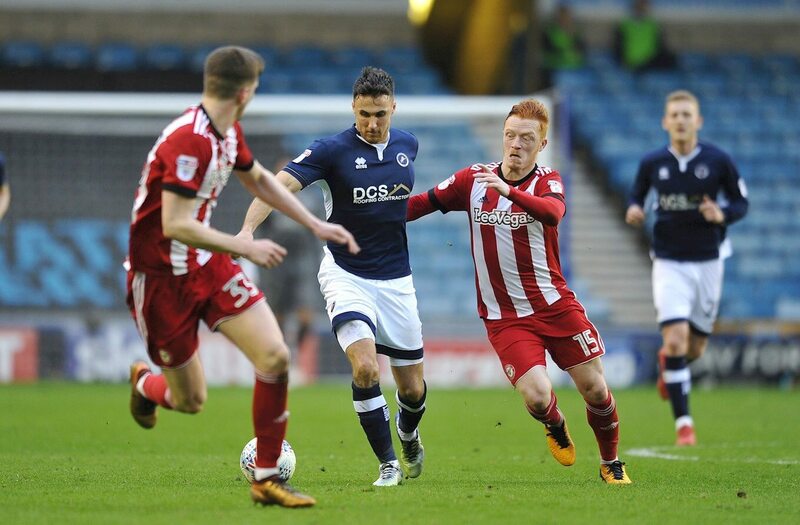 For once it was Millwall’s opponents who were more tenacious in the tackle but the Lions were resilient enough to hold back the opposition time and time again. 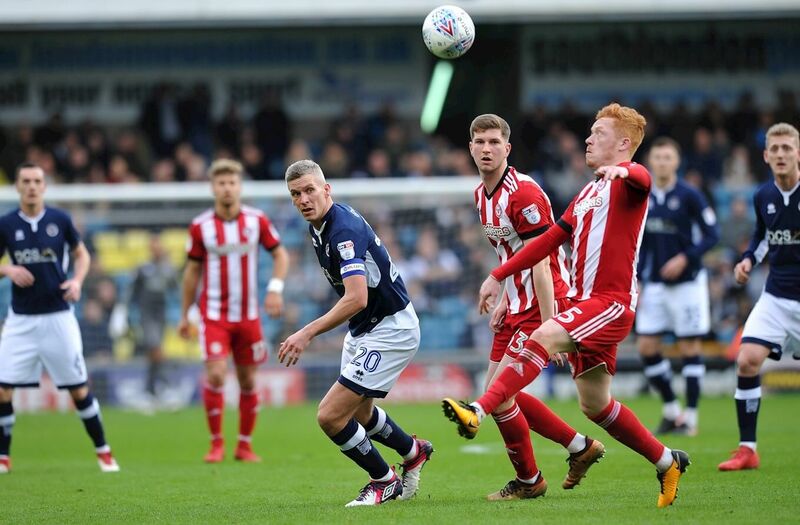 The away team pressed hard and Sergi Canos’ saw his shot hit the post and then John Egan headed against the bar as the Bees looked for an equaliser but lady luck was nowhere to be seen at the New Den as a crowd of 13,251 saw the proceedings unravel. It was an open game with a massive 27 efforts on either goal as both teams applied different approaches to the match. This was Millwall’s 5th win in the last 6 matches and they are currently on fire. Unbeaten now in 10 matches they are the in form team in the Championship at the moment and all eyes will be on the next 3 games, 7 points from those will put them right in the mix for the play offs. “The best side won the game 1-0, the best side always wins the game – that’s the result. Millwall going like a steam train really pleases me. Six points off the play-offs with nine games to go. The players, and fans, have earned the right to dream. “The better team got beat today. There are such small margins in football at times. I can’t question the lads’ performances today, I thought we were very good, especially in the second half. Any Millwall fans missing the first minute of the match two games running won’t be kicking footballs, they’ll be kicking themselves thanks to George Saville’s early antics. If you fancy a bet on Millwall for the forthcoming matches then follow this link. Can Man City show their class again?